First of all I would like to thank the fantastic Blogger Conference I went this past weekend organised by BlogonUK, not only I met some really nice people but I've discovered some great brands with surprising toys to play. 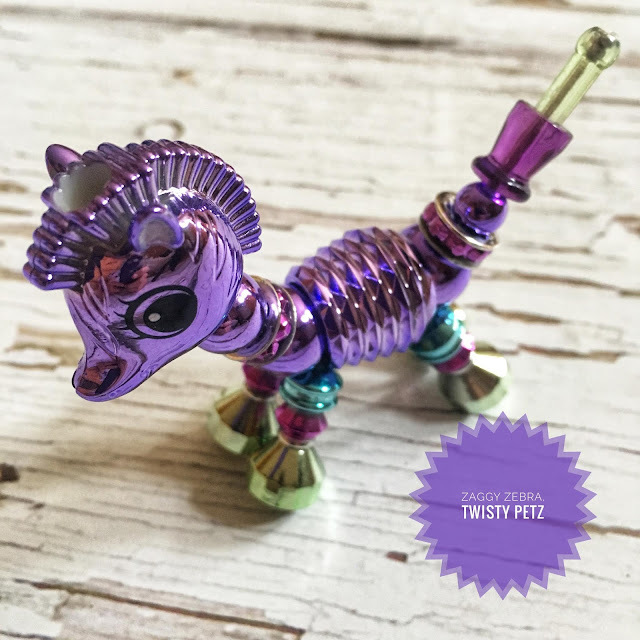 The first toy I tried and played was the Twisty Petz by SpinMaster, a colorful collectionable toy with multiple ways to play, but not apt for children with less than 3 years for the small parts on it, but could be played with a constant adult supervision. 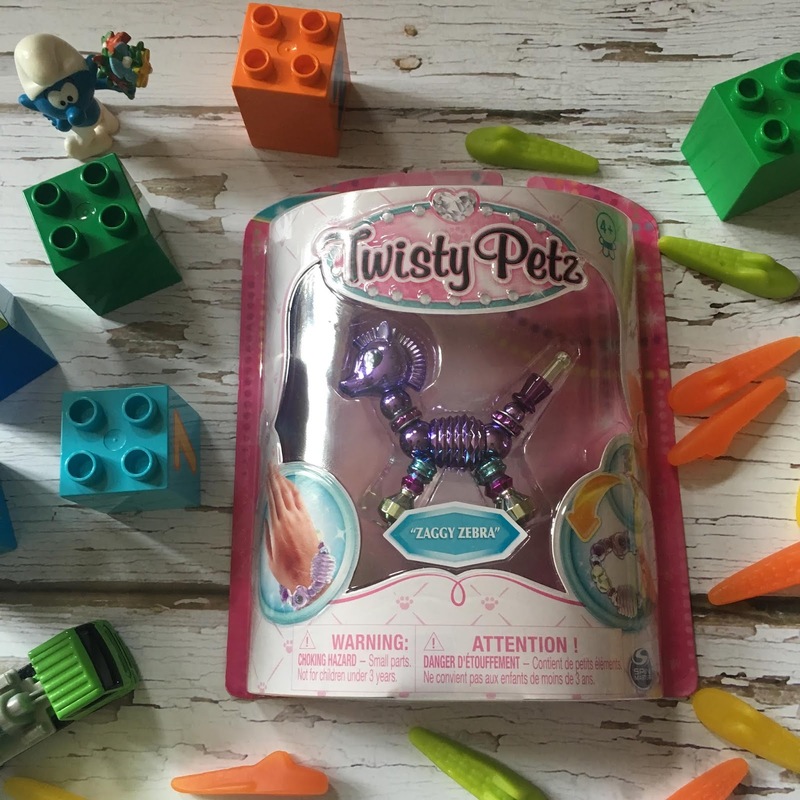 The Twisty Petz is a really original little toy, you can spend hours relaxing simply stretching the pieces, creating an animal or enjoying an original bracelet. And there are so many different animals to collect that I am sure that you will search for the limited edition ones. I was quite surprised with the strong band that held the pieces, even when my little one tried a lot of times to break it, the band withstood his tries quite good! This is a toy for boys and girls, don't let the pinky colours distract you from the real objective of the toy, play and enjoy a new toy! My little one enjoyed trying to construct the bracelet and the zebra for almost an hour, so this is a great toy to travel; light and able to distract your little one for a long time.